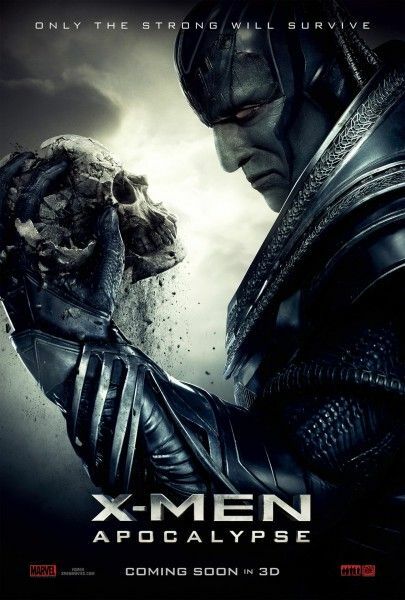 While lots of X-Fans were thrilled to finally get a live-action look at Bryan Singer’s X-Men: Apocalypse in the film’s first trailer, those of us who grew up on Marvel’s “X-Men” comics and Fox’s animated X-Men series in the 1990s might still be concerned at just how well the title villain will come across on screen. With that in mind, fan and YouTube user Phillysteak has cut a new version of the trailer that swaps in the animated heroes and villains for their live-action counterparts. The plan was to use the 90s series to match up to Singer’s version, and it’s surprisingly well done. There’s still something about the trailer itself that just doesn’t work for me, but I much prefer this animated version with its bold colors and nostalgia-pleasing character design. Sure, it’s missing John Colicos’ amazing voice for Apocalypse, but so is Singer’s version. And if the live-action flick features actual metal horses for Apocalypse’s Four Horsemen to ride like this trailer did, I’ll laugh myself silly in the middle of the theater.